Entertainment T-Shirts Liquid Blue There are 36 products. 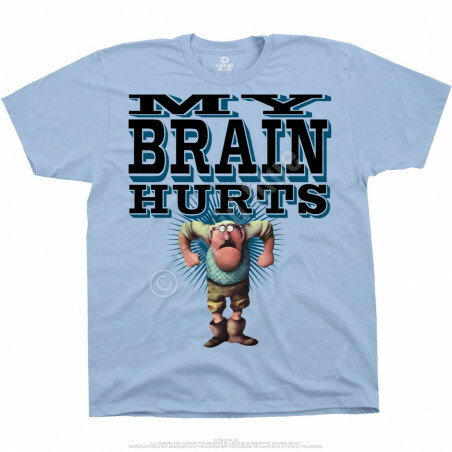 A cult classic at the clothingmonster.com office - Monty Python Gumbys Light Blue T-Shirt Liquid Blue. This tee kills and so does Monty Python. Nothing better than this! 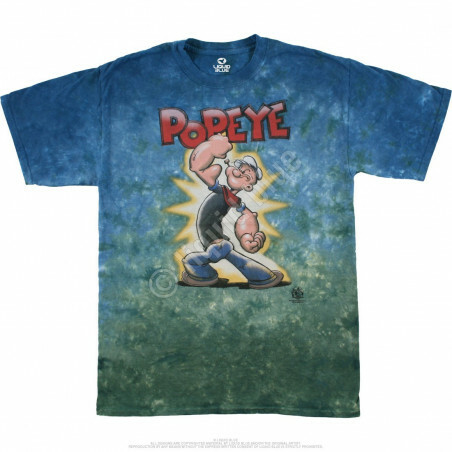 A little play on words here for you - Popeye Strong To The Finich Tie-Dye T-Shirt Liquid Blue. Got finich? Cheeky humor, we know, but it's clothingmonster.com after all. 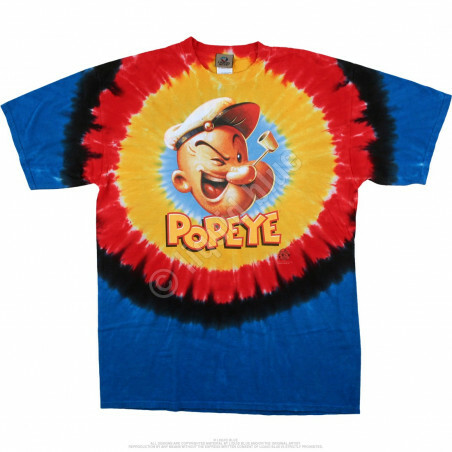 An American classic, Popeye Popeye Concentric Tie-Dye T-Shirt Liquid Blue is a colorwheel waiting to literally explode! Clothingmonster.com has it, all day, every day. The parrot has ceased to be! 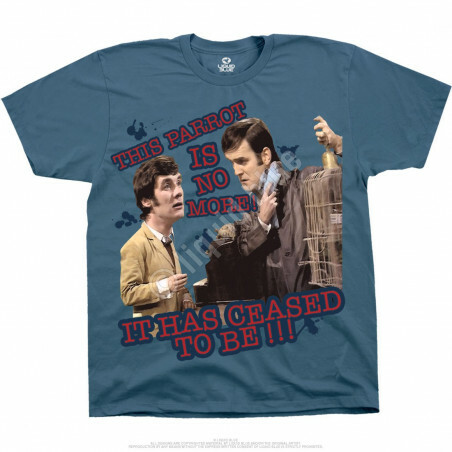 You get the reference, comedy genius right here - Monty Python Dead Parrot Blue T-Shirt Liquid Blue from clothingmonster.com. There's a Ministry for anything these days, so why not silly? 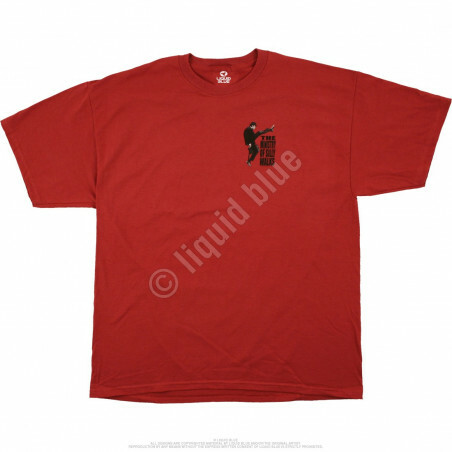 Clothingmonster.com thinks the same with the Monty Python Ministry Of Silly Walks Red T-Shirt Liquid Blue. He's a bad, bad man. Actually he's just a kid, but Bart is the ultimate kid. 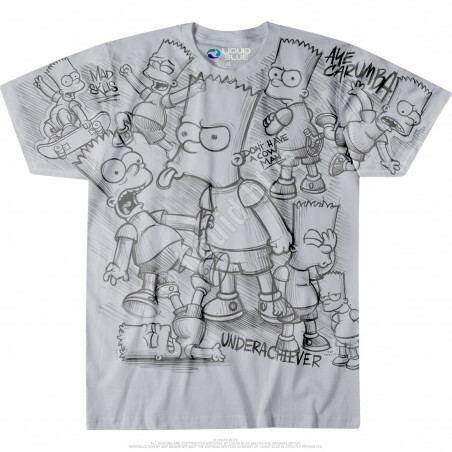 The clothingmonster.com The Simpsons Underachiever White T-Shirt Liquid Blue celebrates the kid in us. Sketching solo, as Bart tend to does. 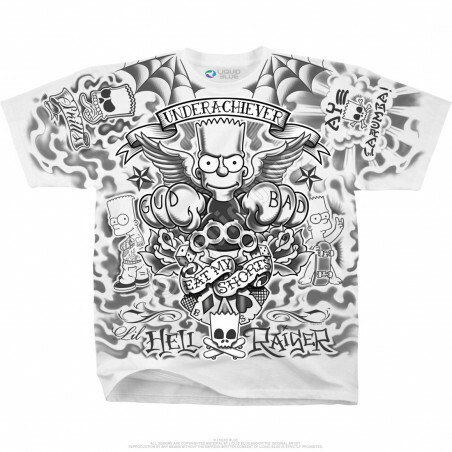 But now you can sketch with him wearing the clothingmonster.com The Simpsons Bart Sketch Grey T-Shirt Liquid Blue. 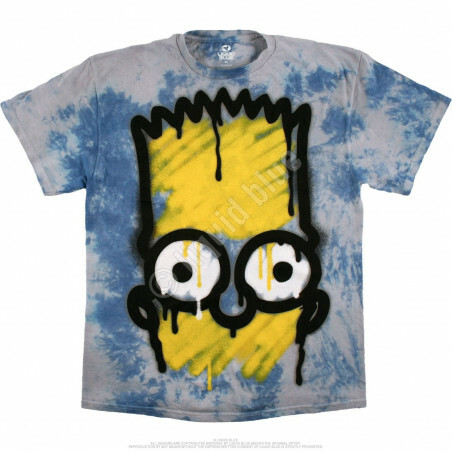 The Simpsons El Barto Tie-Dye T-Shirt Liquid Blue peeks out at you with that all too-familiar glare. Clothingmonster.com recognized this right off the bat, great apparel. When clothingmonster.com receives a gorgeous tee, we'll be the first to toot our own horn. 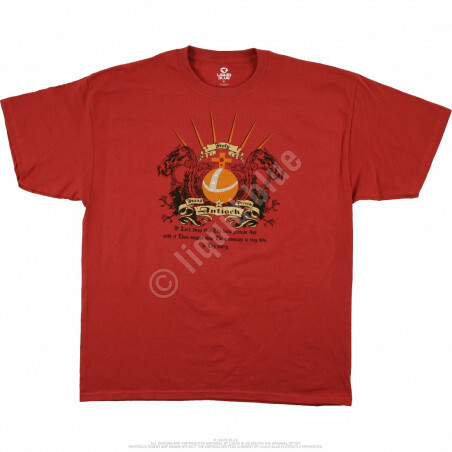 This is it folks - Monty Python Antioch Red T-Shirt Liquid Blue. Peace and love brother, the American way. 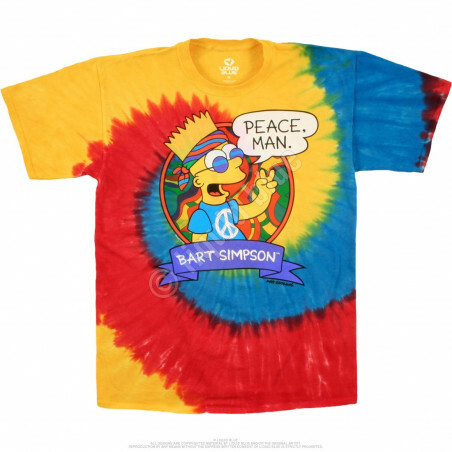 The clothingmonster.com The Simpsons Peace Man Tie-Dye T-Shirt Liquid Blue brings solid vibes, a guaranteed instant classic. 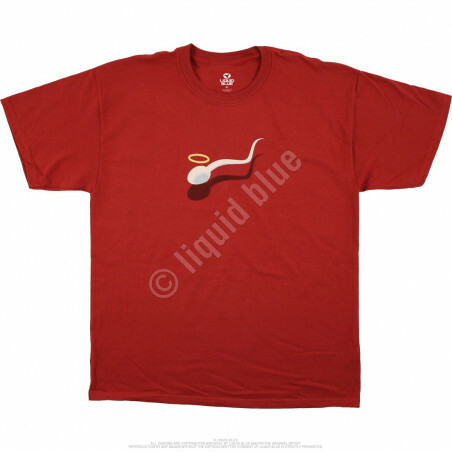 The lucky one, Monty Python Sacred Sperm Red T-Shirt Liquid Blue, this tee is umm, pretty original, right? Clothingmonster.com staff like this bad boy. 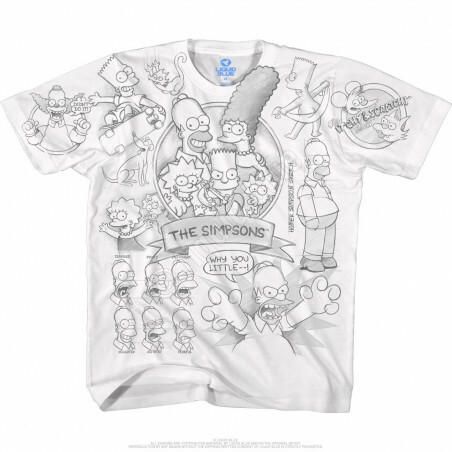 The sketch t-shirt is still relatively rare, there are awesome The Simpsons ones, and now this clothingmonster.com The Simpsons Sketch White T-Shirt Liquid Blue. Fun, cool and comfy, the collection ‘Entertainment’ by Liquid Blue features funny designs. From Monty Python to Popeye, Cheech and Chong to Tootsie Roll and Three Stooges to The Simpsons, you will always look eye-catching. The Tie-Dye T-Shirts make for great gifts for your relatives, friends or for yourself. The Tie-Dye T-Shirts make for great gifts for your relatives, friends or for yourself. Find the shirt that suits you the best and get it at the сlothingmonster.com today!